Tunisia has a long and rich history. Founded by the Phoenicians over 3,000 years ago, in ancient times it was famous for its important city of Carthage, which was destroyed by the Romans in 146 B.C. The Romans had destroyed Carthage because of its ability to recover and survive, it was therefore ironic that after Carthage had been rebuilt under the Romans, it continued to flourish after the Roman Empire declined. It was briefly overrun by the Vandals from 459 to 533, and then by the Arabs in 648 until the Turkish invasion of 1570. 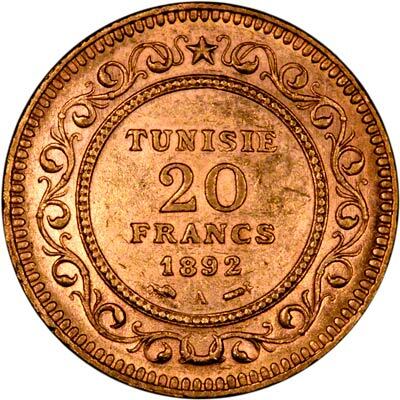 Under the Turks, its main revenue came from piracy until 1819, when an international coalition threatened reprisals, after which its economy declined, and it eventually went bankrupt, leading to it becoming a French protectorate in 1881. By 1955, Tunisian nationalism had grown, and obliged the French to grant internal autonomy, and full independence followed the next year. 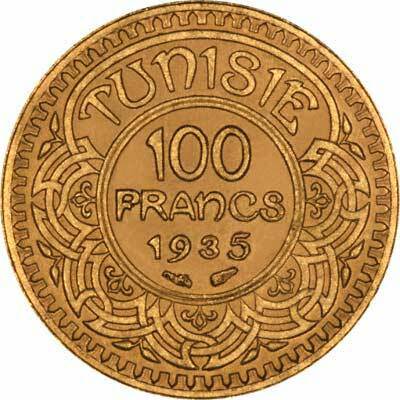 In 1957, Tunisia abolished its monarch and became a republic. In ancient times, the coins of Carthage belonged to the Greek coin series, later Roman. 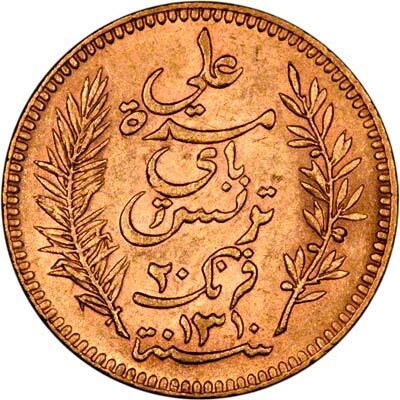 In more recent times, Tunisian coins were denominated in sultani and half sultani, later in piastres, changing to francs under the French. 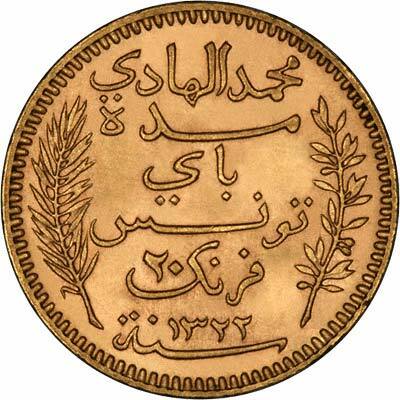 From the beginning of the Republic, they are denominated in dinars. 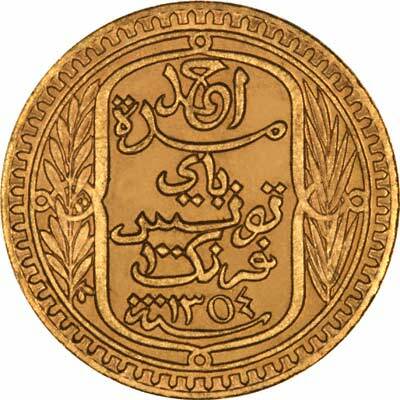 Technical specifications of the most frequently encountered Tunisian gold coins. 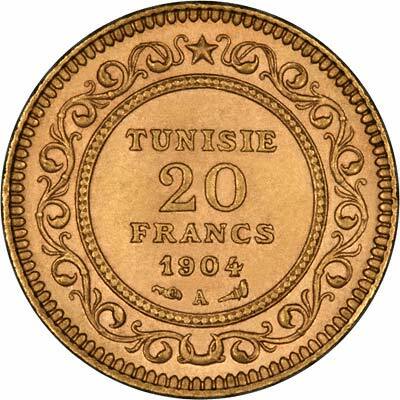 For silver and base metal coins of Tunisia, please look at our original Chard Coins website.